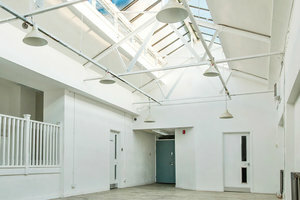 This white-box 800 sq ft gallery in the creative area of Hackney Wick is perfect for Art Exhibitions, Fashion Showrooms and Launch Events. 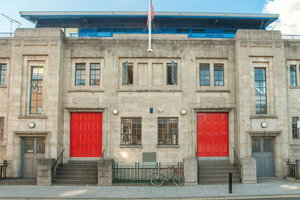 Housed in a vast building with a brown-stone entrance, this space is contemporary with a trendy ambience. With a spacious open plan and terrace this space is unique. Contemporary interiors comprised of creative white walls, high ceilings and raw concrete floors give this space a stylish atmosphere. 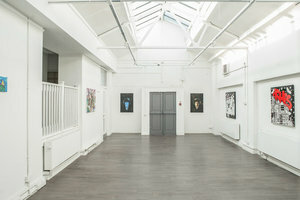 This showroom is well-equipped for art events with professional lighting, a storage area and a kitchen. Surrounded by creative art galleries and trendy shops, this space is great for creative professionals and designers to create a one-of-a-kind event in a fashionable setting.